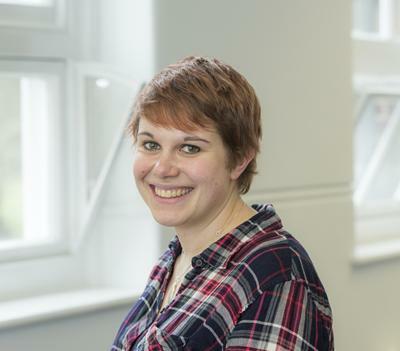 Dr Naomi Thompson is a Lecturer in Philosophy in the Faculty of Arts and Humanities at the University of Southampton. Before coming to Southampton, I held the position of Kit Fine Fellow (postdoctoral researcher) at Universität Hamburg in Germany, and spend a brief period teaching at Leeds. My research is mostly in metaphysics, but intersects with issues in philosophy of language and epistemology. I am particularly interested in two (related) areas. Firstly, in questions to do with metaphysical structure, fundamentality, and explanation (especially metaphysical explanation). Much of my work has focussed on the grounding relation, where I am interested in exploring non-standard conceptions of grounding, and considering whether grounding-talk might have useful applications outside of metaphysics. Secondly, I am interested in questions about how to characterise realism and antirealism in a given domain of discourse. Recently, I have been thinking about this in the context of fictional characters, which has led me to think more generally about questions in the philosophy of fiction. Metaphysical structure, fundamentality, explanation, grounding, realism vs. antirealism, fictionalism. (Forthcoming) ‘Grounding and Metaphysical Explanation’ Proceedings of the Aristotelian Society. (Forthcoming) ‘Is Naturalness Natural?’ American Philosophical Quarterly. (Forthcoming) ‘Metaphysical Interdependence’ in Jago, M. (ed) Reality Making (Oxford: Oxford University Press). Thompson, N. (2016). Is naturalness natural? American Philosophical Quarterly, 53(4), 381-396. Thompson, N. (2016). Metaphysical interdependence. In Reality Making (pp. 38-56). (Mind Association Occasional Series). Oxford: Oxford University Press.